April 4, 2018 by Dominik Żmuda 2 Comments The editorial content on this page is not provided by any of the companies mentioned, and has not been reviewed, approved or otherwise endorsed by any of these entities. Opinions expressed here are the author’s alone. See our disclosures for more info. While my preferred airline alliance is Star Alliance (the largest alliance), I still find myself flying with the oneworld alliance quite a bit. With top carriers such as Cathay Pacific, Japan Airlines, and Qantas, you can also experience pure luxury during your travels. The oneworld alliance doesn’t actually consist of a lot of member airlines – Star Alliance and SkyTeam contain more member airlines. However, you can definitely use oneworld miles to fly to most places that Star Alliance also serves. Please keep in mind that if an airline is a member of an alliance, you can redeem your miles from any airline in that alliance for travel on other airlines in that same alliance. Therefore you can use American Airlines miles to fly British Airways, etc. As a reminder, if you have miles with any of these airlines, you can redeem them on any of these airlines. Some airlines, like American Airlines, also partner with many airlines outside of oneworld – so your miles can take you even further. If you wish to search other oneworld airline flights, you must use the British Airways or Qantas website. I will have a post in the near future on how to search using BA’s website. Personally, I use the AA website when I need to search for oneworld award flights from/to North America from/to Europe and any Qantas flights. Searching for award space using the American Airlines website is quite simple. 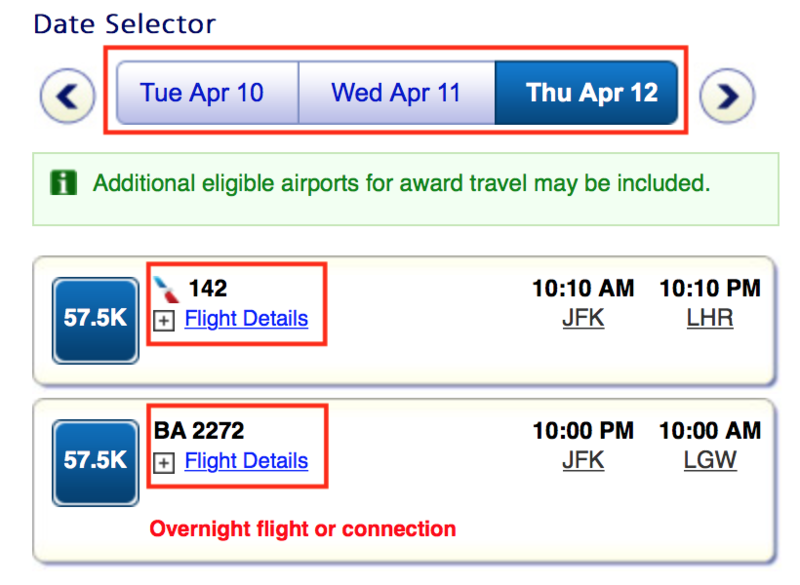 Also, AA.com will offer you WAY more flight combination options than British Airways’ website. However, as previously mentioned, not all oneworld airlines show up on AA.com. To begin the search, simply head to American Airlines’ website and type in your desired flight information. Keep in mind, you should always search one-way at a time as this will likely show more flight results. Make sure to check the box “Redeem Miles” and then enter in your desired route and dates. The next page will populate with several options on the calendar. If a calendar “button” is coloured, that means there is availability in that cabin of service. You can easily switch between classes of service and dates on the calendar. If there is no award availability in a cabin of service or on the date, the calendar “button” will be grey in colour. You can also filter the number of stops – that is if you wish to make connections or if you wish to only fly nonstop. If you wish, you may open the full month calendar – a very nice feature. MileSAAver awards are the awards you should be booking – they are the saver awards and all availability at the saver level is available to partner oneworld airlines. Therefore if your desired oneworld flight shows as a saver award on AA.com, you can book using any oneworld miles. AAnytime awards are significantly more expensive and NEVER worth it! There is more availability for this award type, but they can only be booked using American Airlines miles. Not worth it. Once you have selected your desired date with award availability, you can proceed to the next screen, which will display all flight results on that date. You can easily toggle between dates and classes of service on this page, too. The flight search results will show all AA partners with award availability that show up on AA.com. The cost in miles is displayed next to the flight details. You can expand and view more details about a specific flight or flight combination. This is incredibly useful for viewing the aircraft type, seat map, and more. American Airlines imposes MASSIVE fuel surcharges on British Airways flights. BA requires that partner airlines charge this fee – so in reality, AA has no control. You should always avoid long-haul British Airways flights as the taxes/fees will end up $300+ one-way. You can definitely book short-haul European flights on British Airways combined with a long-haul American Airlines flight – the fuel surcharge will only be applied for the British Airways flight – and European fuel surcharges aren’t that expensive. American Airlines is incredibly generous in that they are one of the few airlines that allow FREE holds on award tickets. You can hold any award ticket for 5 days with no obligation to buy. If you’re booking less than a month in advance, the hold may only be 1 day. You can have up to 4 flights on a one-way American Airlines award ticket OR 8 flights on a round-trip ticket. If your desired routing does not show up online, you can call in and have an agent manually build the booking with your desired flights – if they show up with award space one-by-one. Searching for oneworld award space using the American Airlines website is quite simple. Pro Tip: if your desired flight combination doesn’t show up, try searching for flights one-by-one. 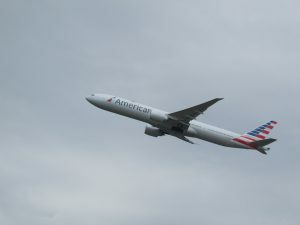 American Airlines is generally good at showing many routes and flights, so you have a good chance of finding award space to most destinations as long as the partner airlines show up on AA.com. American Airlines does have quite strict routing rules (I will cover this in a future article), however this is something you should only pay attention to if you are building itineraries by yourself. The most important rule is that you can’t transit via a third region. I will have more articles regarding AA rules soon. For now, if you have any questions regarding searching for oneworld award space using AA.com, please feel free to post them below. How can I book the above ticket example (30k AA points) using my BA.com (Avois) points? When searching through the BA award ticket website, none of the AA.com award tickets show up. Do I need to call BA? They should show. Yes, you can try to call BA.